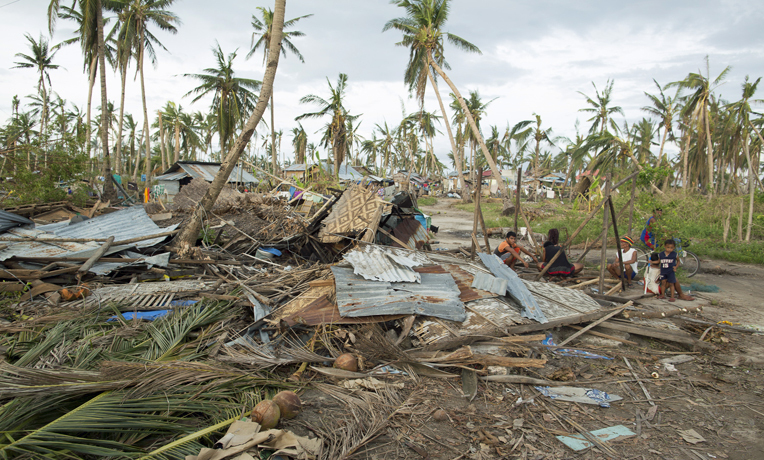 While nearly dying in Typhoon Haiyan, a man promised God he would accept any punishment if he lived. After the storm, he had a chance to face that punishment. Jayson Silvia has worked with Samaritan’s Purse in the Philippines since Typhoon Haiyan struck his home in November 2013. He started as a driver and translator and now does logistics. Before the storm, he was an IT specialist. Before working with Samaritan’s Purse, I couldn’t even remember the last time I prayed or picked up a Bible to read. During the typhoon, I held my baby as coconut trees fell on my house. I thought that it was my family’s last day on Earth. I prayed that God would let me see my son grow old, my parents grow old, and my wife grow old. The whole time, the coconut trees kept falling all over my home. I told God that I would accept whatever punishment He chose for me if only my family and I could live through the storm. After the storm passed, I planned to move my family to Manila. If God gave me gas, I would take it as a sign that I should go. 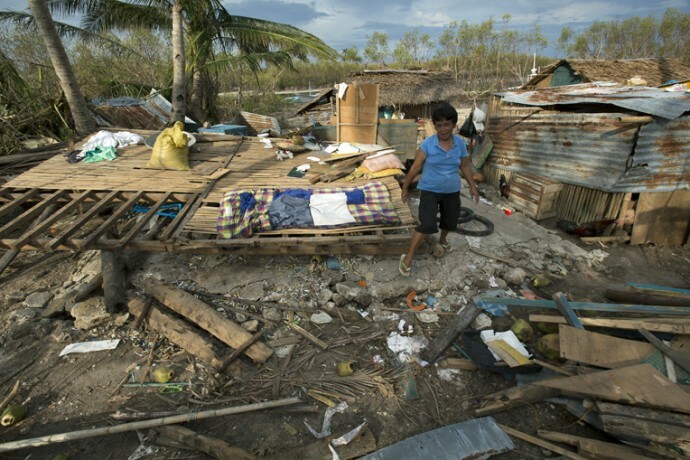 Typhoon Haiyan left people with nothing. Samaritan’s Purse immediately began providing aid in the form of clean water, food, and other necessities. After deciding to leave for Manila, my son got sick. My wife asked to delay our move until he was better, so I went to look for medicine for him. Even though I knew that the medicine would be found in Palo and not Tacloban City, something led me to Tacloban City. On the way, a big white man in a truck came across me asking for directions. I knew where it was and led the man as he followed my bike with his truck. Once we got to the destination, the man pulled out a card and asked if I wanted a job. I saw cross on the card and knew this was where God wanted me. This is my “punishment.” I now pray every day and look forward to coming into work. A note from David Jesson (the big white man in the truck): Little did Jayson know that I had been asking God to connect me with someone who knew the area and was a believer. When I asked Jayson to show me an address, he did not just give me directions, but he led us there on his motorbike. His initiative prompted me to hire him. He then told me he first had to find medicine for his son. We prayed and he left. I was not sure whether he would return that evening, but he did. We serve an awesome God!